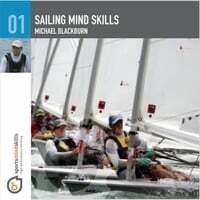 Once you've got your body in shape, be sure to check out Michael's Sailing Mind Skills. 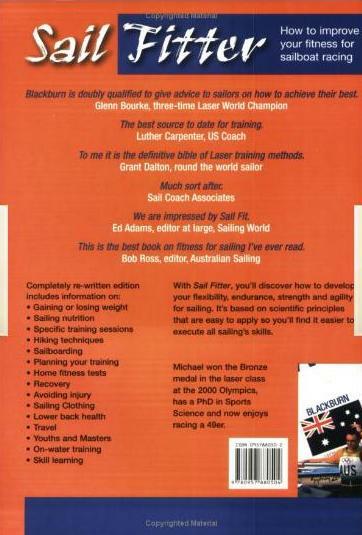 Secrets of success in sailing are revealed in Dr Michael Blackburn’s new edition of Sailing Fitness and Training now, for the first time, available in digital and print on demand formats. 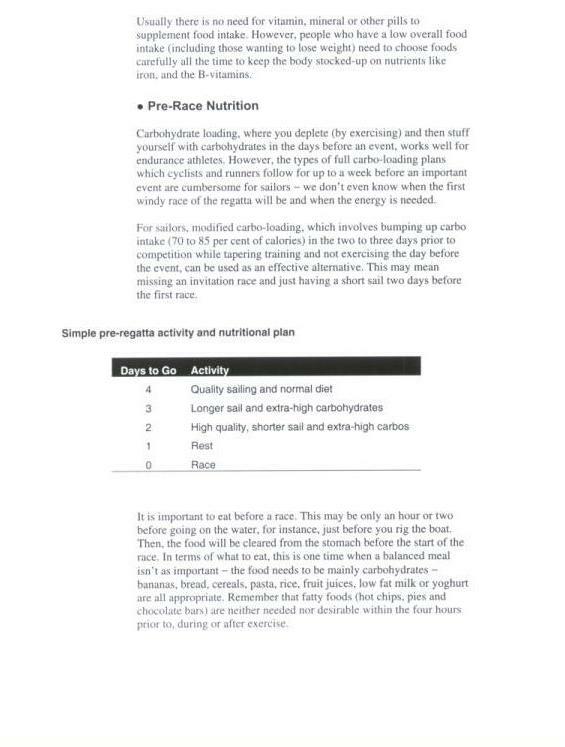 Blackburn, a Sports Scientist, World Champion Sailor and Coach, has enhanced his guide to sailing fitness with the benefit of another 10 years experience. The latest version includes practical advice that helped him win a Laser Worlds in 2006 and coach World Sailor of the year Tom Slingsby to victory in 2010, '11 and '12 World titles and win Olympic Gold in London. Blackburn also coached Tom Burton to Gold at the Rio 2016 Olympics, becoming Australian Coach of the Year in 2016. Sailing Fitness and Training focuses on the human physical factors that affect sailing performance. You'll discover how to develop your strength, endurance, flexibility and agility for sailing and then how to recover quicker to do it all again! 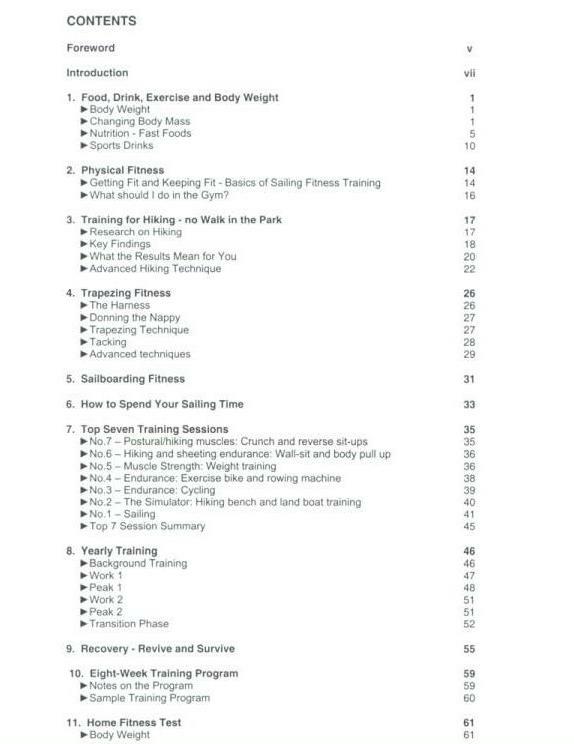 This edition includes more of the training techniques that will help you get fitter quicker and work consistently over the long term. It's the same book, with different covers to tell them apart online! The digital version gives you the ability to search the book and can be read on any device with the Kindle reader software (free) - download a free sample and begin reading in 60 seconds! Sailing Fitness and Training can be gifted to anyone with an email address. Look for the ‘Give as Gift’ link on the Amazon product page. You can write a personal message and gift notifications are delivered to the recipient via e-mail (typically within 5 minutes). The recipient clicks on a link in the email to download the book (and the free Kindle reader software if they don’t already have it). Click here to look at Sailing Fitness and Training on Amazon.com. The digital version is also available on Amazon.co.uk - Sailing Fitness and Training (direct link). Price: SOLD OUT - get the digital or print on demand copies, above. Sail Fitter is the complete guide to improving your fitness for sailboat racing. With Sail Fitter you’ll discover how to develop your flexibility, endurance, strength and agility for sailing. It’s based on scientific principles that are easy to apply so you’ll find it easier to execute all sailing’s skills. Author Michael Blackburn won the Bronze medal in the Laser class at the 2000 Olympics and has drawn on over 20 years of sailing training and 15 years of experience in the Sport Science field to write the book. In October 2003 he was ranked No.1 Laser sailor in the world. And in 2006, at age 36, won the Laser World title. Currently he is a coach with the Australian Sailing Team. The 126-page fully illustrated guide is an extensively updated edition of his previous book, Sail Fit that sold out in 2000. Sail Fit sold in over 20 countries and was translated into Japanese and Russian. The current edition has sold in over 30 countries. Blackburn’s resume includes Laser World Champion, Olympic Gold Medal Coach, and Sports Science Coordinator for the NSW Institute of Sport Sailing Program where he prepared training programs for Australian Olympic and World Youth team members including Belinda Stowell (Olympic 470 Gold Medallist) and Ben Austin (Laser World Youth Gold Medallist and 49er World Champion). Sail Fitter: Sailing Fitness and Training includes over 100 photos illustrating training exercises.The text discusses gaining and losing weight, sailing nutrition, specific training sessions, hiking technique, trapezing fitness, sailboarding fitness, planning training, home fitness tests, recovery, sailing clothing, lower back health, travel, youth and masters training, on-water training and skill learning. We've sold many thousands of copies of this respected guide to fitness for sailing. However, we now need the storage space back and so the remaining copies have been heavily discounted. Sorting through some of the unreviewed books that publishers have kindly sent us turned up a previously overlooked gem. Reviewing a book a month, sometimes two, in advance means that interesting works are sometimes passed over. So turning up Sail Fitter was a nice surprise and a return to the water that seems to me to have something for everyone. Not only that, it's also nice to review a worthwhile Australian, self-published book. It is no coincidence that I was thinking hard about my own fitness, not just for sailing, but also for everyday needs. And I think I found something useful in this revision of the 1997 book, Sail Fit, published again in mid-2001 under its updated title. Keen small boat sailors will recognise the author as Australia's Laser class Bronze Medalist at the 2000 Sydney Olympics. Michael Blackburn brings to his work much more than that. The author has a PhD in Human Movement Studies and mixed the theoretical with the obviously practical in presenting elements of sailing fitness and sail training. Blackburn also brings to bear his experience as Sports Science Coordinator for the NSW Institute of Sport Sailing Program in 2000, preparing training programs for other very successful sailors. At first glance the list of Contents for this book read like a recipe for winning a gold medal at the Olympics. And that might be the ultimate purpose. I suspect if you followed the recipe to the letter, then it wouldn't be the author's fault if you failed. Michael Blackburn acknowledges that there's a little more to it, like tactics and strategy, but his purpose is to lay the foundation for successful small boat sailing. 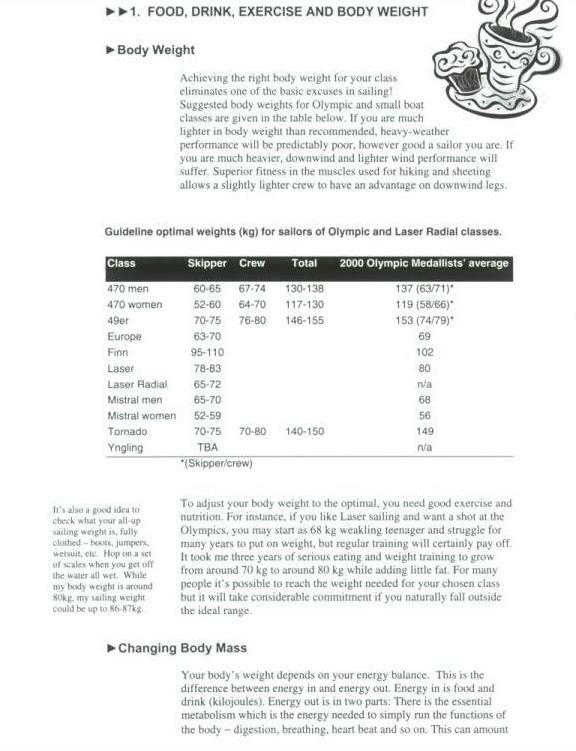 It's an odd thing that Chapter 1 starts off with an analysis of the ideal weights for sailing in the various Olympic classes and a proposition that your goal might actually be to gain weight, not lose it. 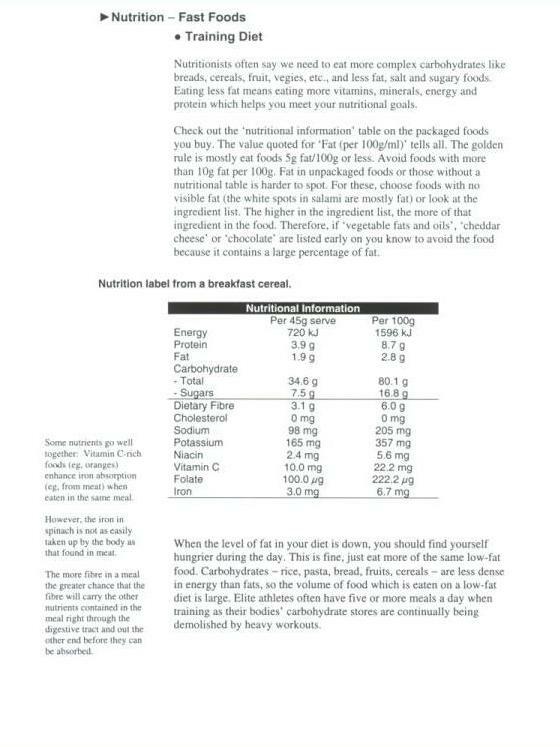 This leads on to some useful dietary advice that you could use, even if you never set foot in or on the water. It's then that the author gets into the meat of Sail Fitter. No pain, no gain might be the motto as the book addresses Training for Hiking - no, not the tramp through the bush kind - the hanging for long periods off the side of a dinghy by your toes kind, while your thighs do an impression of ringing like a tuning fork. The exercising itself comes towards then end of the book where the Appendix explains and illustrates all the exercises required. But the author is keen on bringing the reader along gradually, suggesting training programs which would appeal to the club sailor, not to mention the national rep. There are a few issues for Michael Blackburn. He is keen to give you the benefit of his international sailing experience. From avoiding dehydration, sunburn and all sorts of minor injuries, to dressing appropriately for varied conditions. But, taking the sail training aspects, Blackburn provides drills for sailors to practice on the water. With his detailed advice about many of the moves that can lose a race, the author lives by the creed of "perfect practice makes perfect". Two chapters jumped out: one because of relevance titled "Fitness for masters, sailors and old salts"; and the second for its good sense, titled "Fitness for young sailors". Both chapters deal with the different demands on sailors in these age groups and each provides a case study to demonstrate the commitment to fitness and the need to keep the principal goal of having fun in the sport, while meeting competitive urges, in mind. by Bob Ross, former editor of Australian Sailing magazine and one of Australia's foremost sailing journalists. 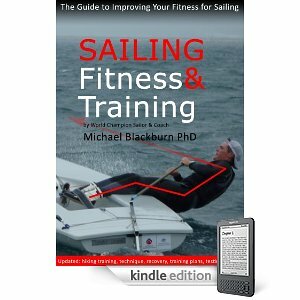 "I could not think of anyone better qualified to write a book about fitness for small boat sailing than Michael Blackburn. He's academically qualified, with a PhD degree in Sports Science. He can sail well, at the top international level, with a Bronze medal from the Sydney 2000 Games marking the end of two Olympic campaigns in the Laser class before embarking on a new Olympic challenge, sailing with Chris Nicholson in the exciting 49er skiff. And, from the informative articles on fitness and small-boat sailing techniques he has written for Australian Sailing magazine, I know that he can write clearly on sometimes quite complex physiological and racing topics. 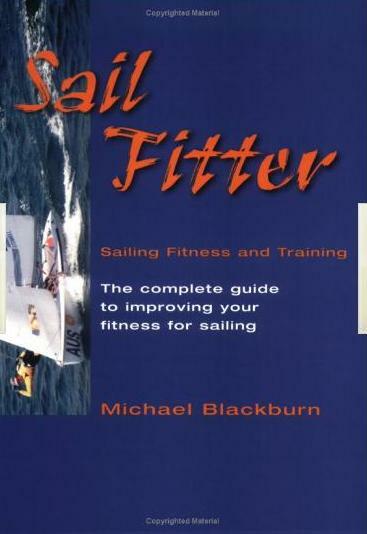 While the first edition of Sail Fitness and Training was certainly a compulsory acquisition for any Laser sailor who wanted to be more competitive, this second edition has broadened in outlook as Michael himself moves onto the somewhat different physical requirements of becoming an agile, as well as strong, 49er crew. It is enhanced, too, by the experiences from Michael's dogged physical and mental campaigning and planning for the Sydney Olympics. 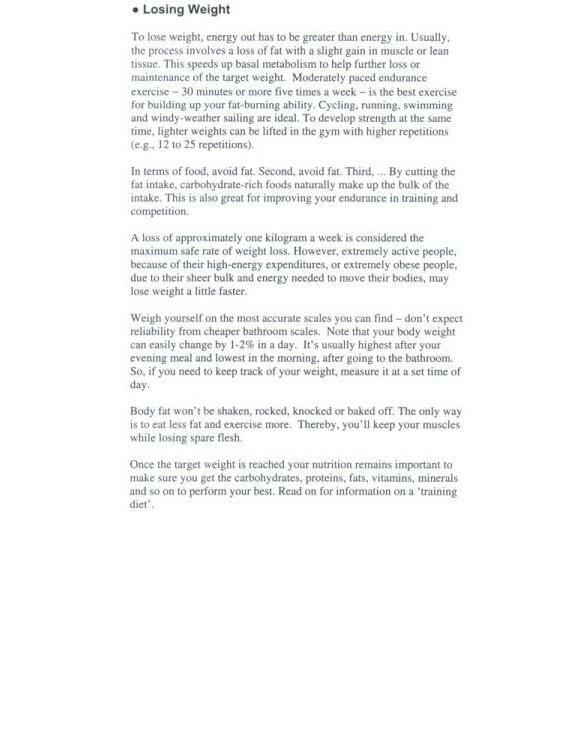 It still tells you how Michael Blackburn developed from the scrawny 68kg teenager I first watched racing Laser Radials to the 30-year-old muscular Olympian, with advice on eating, drinking and exercising to change body mass and gain or lose weight. 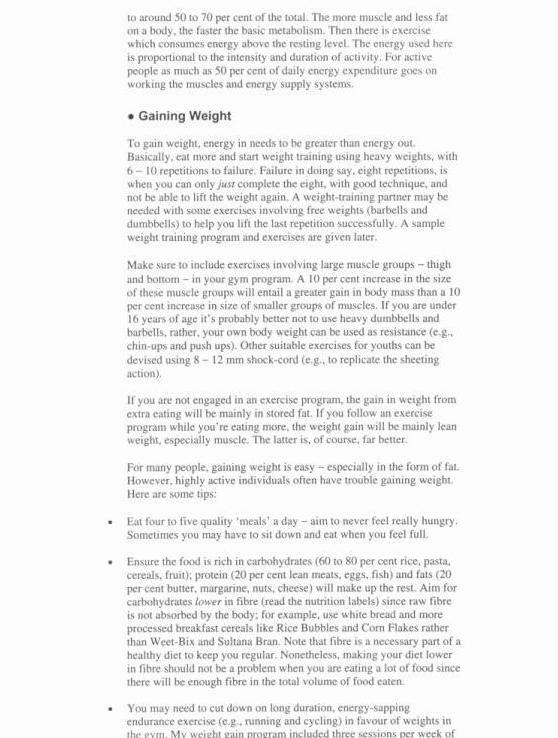 To the advice on gym work and programming has been added specifics on weight training with full photographic illustration of all the recommended exercises. The completely new topics in the second edition include clothing and PFDs, fitness for sailboarders, fitness and techniques for trapezing crews. Fitness for young sailors (aged 9-16) and for masters sailors and ‘old salts’ is included for the first time with case studies for each that help make the advice for each age group personally relevant. The pre-Olympic campaign experience, woven throughout the book, yields also some advice on battling jet lag and jet stress that all long-distance travellers would find useful. 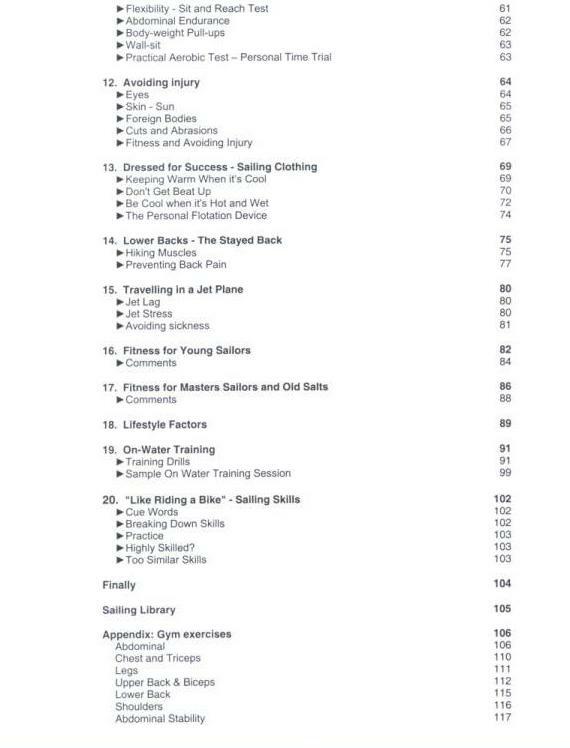 You do not need to be an Olympic aspirant or a gym "junkie" to benefit from reading Sail Fitter. 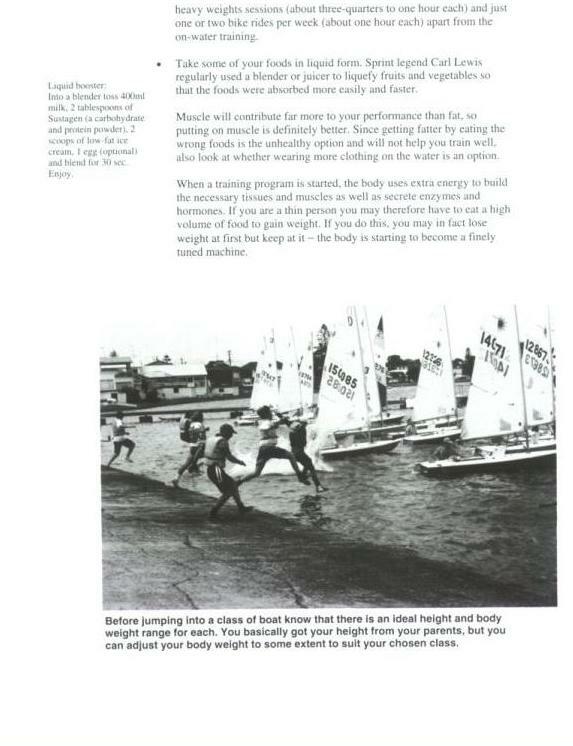 As its concluding paragraph says: "The exercises and ideas in this book are not just for seriously competitive sailors. You may sail mostly in local competition and go to a bigger regatta once a year to see where you're at; you'll be better than last year if you're fitter and can handle the boat well. The reassurance you get from sailing better will, I hope, help you achieve whatever your goals may be."